The Sig P320 X-Carry is an amazing red dot ready pistol. It’s based off of Sig Sauer’s competition pistol, the X-Five, so you know it’s an incredible pistol with lots of features. You’ll also want a Sig P320 X-Carry holster with plenty of features to compliment this pistol. Whether you’re concealing in a Sig P320 X-Carry OWB holster or inside the waistband, this is a fine pistol to carry all day long. It’s lightweight and highly accurate. This pistol with a red dot on it is even sweeter. 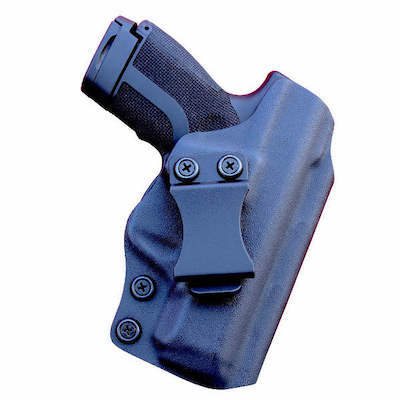 We make Kydex holsters that accommodate the Sig P320 X-Carry with or without a red dot sight. A Sig P320 X-Carry OWB holster makes more sense for many shooters but don’t assume that you have to carry the pistol outside the waistband. It is perfectly acceptable to carry the P320 X-Carry in an IWB holster as well. 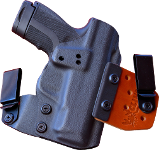 The Stingray holster will allow the pistol to be carried at a zero degree cant in the appendix (AIWB) position inside the waistband. 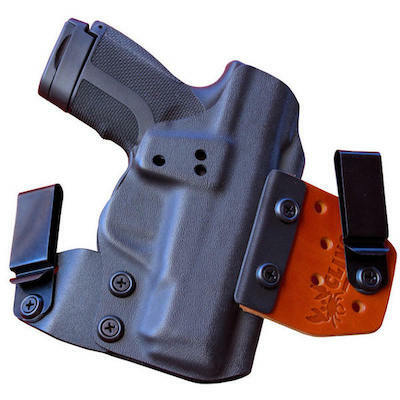 Because this concealed carry holster can be adjusted for cant, you can easily adjust the cant to 15 degrees and carry behind the hip as well. The No Print Wonder is an excellent choice as an P320 X-Carry holster because it has multiple adjustment options. You’ll find adjustments are usually necessary to dial in the sweet spots like ride height and cant for most pistols. This is especially true of IWB Sig P320 X-Carry holsters if you have red dot on it. If carrying this pistol canted, you’ll probably want a higher ride height so the red dot doesn’t get caught on your pants. 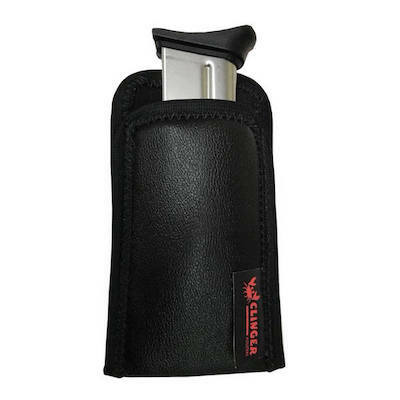 If you want a highly adjustable Kydex holster that can be carried IWB or OWB, Clinger Holsters are definitely for you. 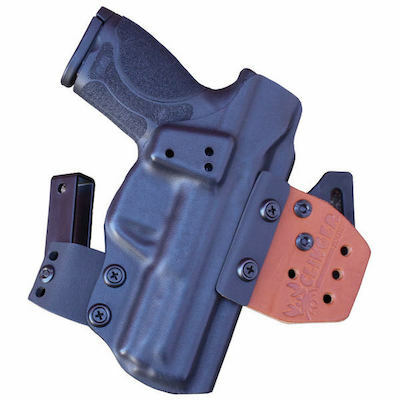 Simply swap the belt clips to convert the No Print Wonder into our Ultra-Conceal OWB holster. Simply moving the belt clips up or down adjusts your ride height and cant. 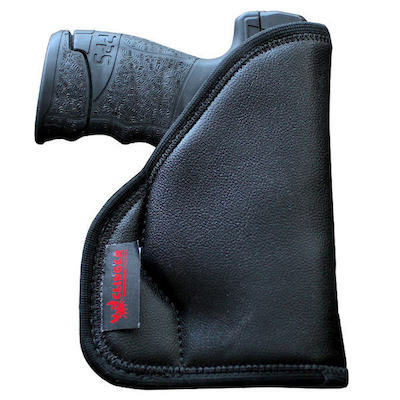 No matter which gun holster you choose from Clinger Holsters, you’ll have plenty of options to customize your concealed carry experience.